SeaWorld was hit with another lawsuit Thursday that claims the park misled the public about its treatment of orcas, the Orlando Sentinel reported. The suit, which seeks class-action status, alleges that the park was deceptive about practices such as separating mother orcas and their calves and keeping animals in tiny tanks, and that it lied about the life spans of orcas in captivity. "The guts of our claim is that there have been material omissions by SeaWorld in the presentations of what they're providing for the purchase price of the ticket," lawyer Paul Rothstein, who filed the suit on behalf of a South Carolina resident, told The Dodo. "It's our objective to make sure those omissions don't continue." The lawsuit demands that the plaintiff, Joyce Kuhl, and others who visited the park in the past four years, receive a refund for the cost of admission. Visitors to SeaWorld Orlando would not have paid for a ticket had they known what was really was going on, Rothstein said. Crowds of children and adults have been mesmerized by SeaWorld's orca shows. SeaWorld makes hundreds of millions of dollars as a direct result of the illusion created by these shows and its massive public marketing campaign: Orcinus orca and Homo sapiens living in harmony and playing together for public entertainment. Killer whales "in the care of man," as SeaWorld's mantra tells it. This illusion masks the ugly truth about the unhealthy and despairing lives of these whales. This is a truth that, if known to the purchasing public at the time families make the decision to visit SeaWorld, buy a membership, or pay for an "exclusive park experience," would lead them to seek entertainment elsewhere. Another lawsuit, filed in March by a California grandmother, also alleges that the company deceived the public about its mistreatment of orcas, and asks for refunds as well. And last fall an investor sued the company for withholding information about plummeting stocks following the release of "Blackfish" in 2013. If cases against SeaWorld go to court, the company could be required to release private documents to the public. 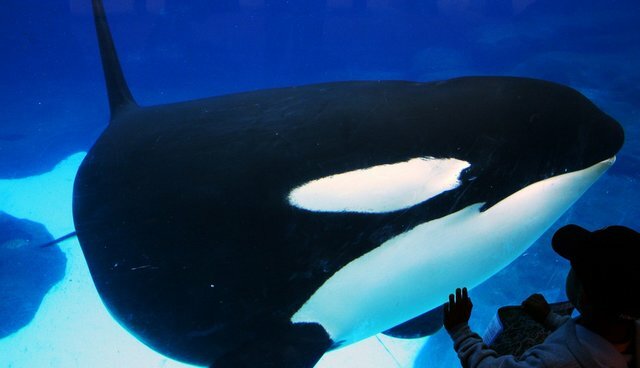 PETA recently sent a letter to Joel Manby, the company's new CEO, encouraging him to "show compassion for the animals trapped in SeaWorld's tanks by announcing an end to cruel captivity at SeaWorld and immediately funding the creation of coastal sanctuaries where orcas can spend the remainder of their lives in as natural a setting as possible."